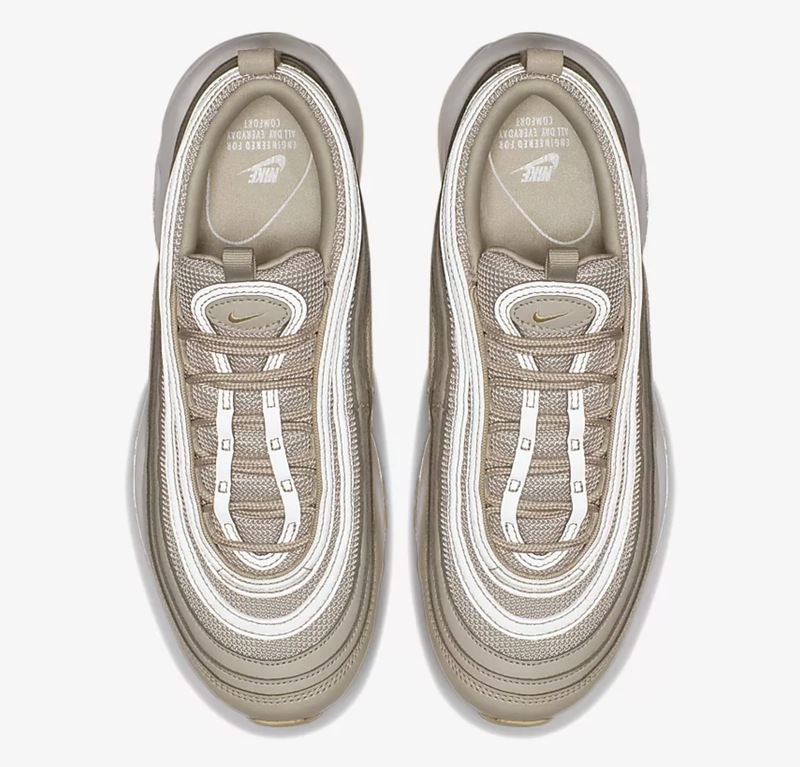 The much loved Gold Bullet has been the only golden Air Max 97 in everyones eyes for a long time. Now, this paler and prettier Desert Sand/Beach colourway has arrived. In a subtle golden hue, this silhouette is looking heavenly. 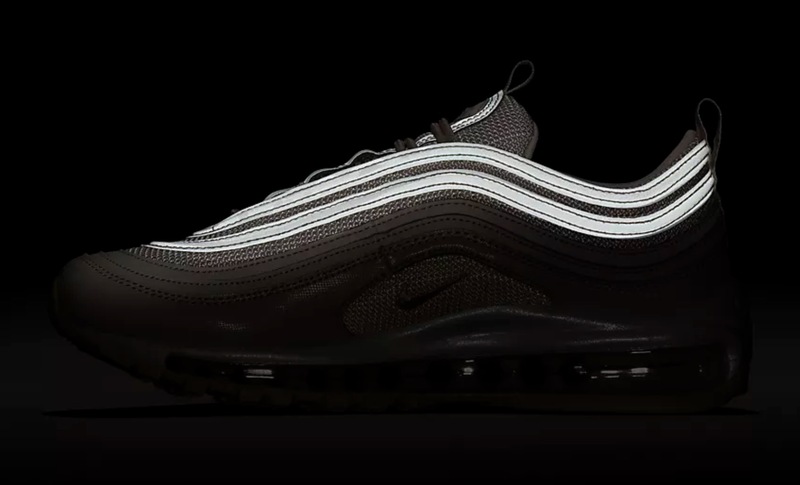 Using a mix of textured leather and mesh material, this Air Max 97 keeps a consistent hue throughout the upper. On the side panel, a lighter yellow can be seen with a mini embroidered Swoosh on the breathable material. 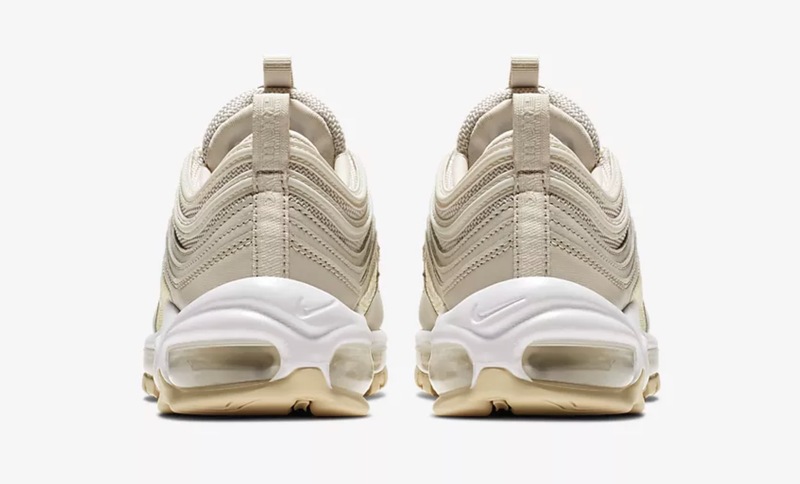 A white midsole sits between the golden outsole and the golden upper, adding a complementary lightness to the sneaker while holding the full length Air Unit in place. This Air unit provides wearers with lightweight and responsive cushioning with every step. 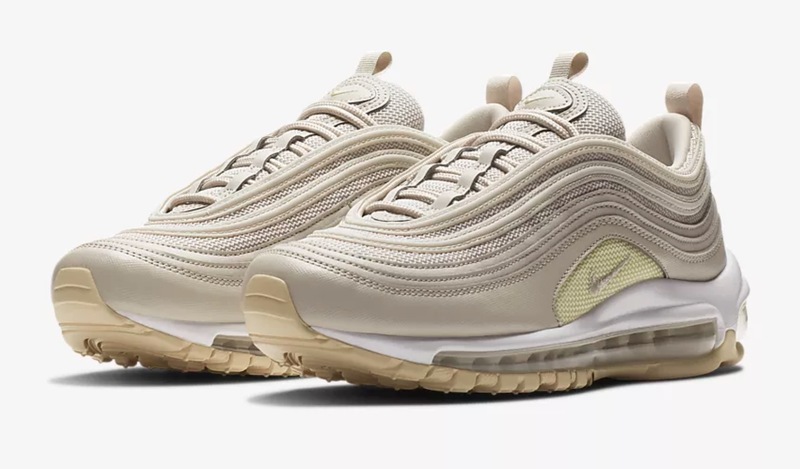 A Swoosh logo sits on the padded tongue of these AM97’s. 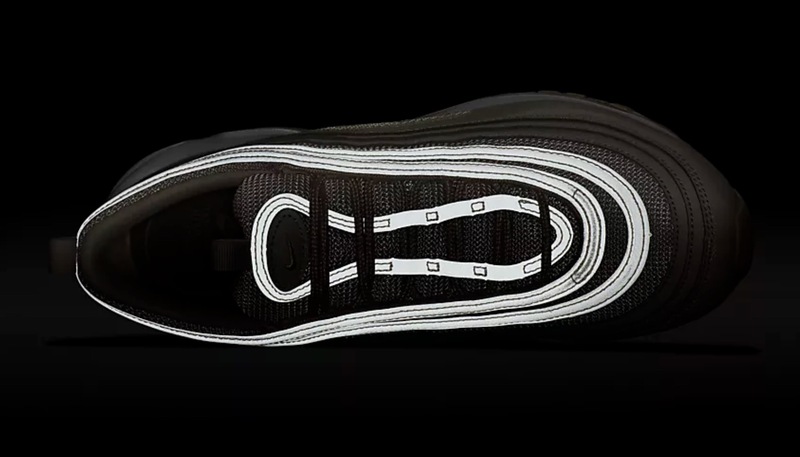 The inside of the sneaker is also padded, adding to the premium quality of this silhouette. 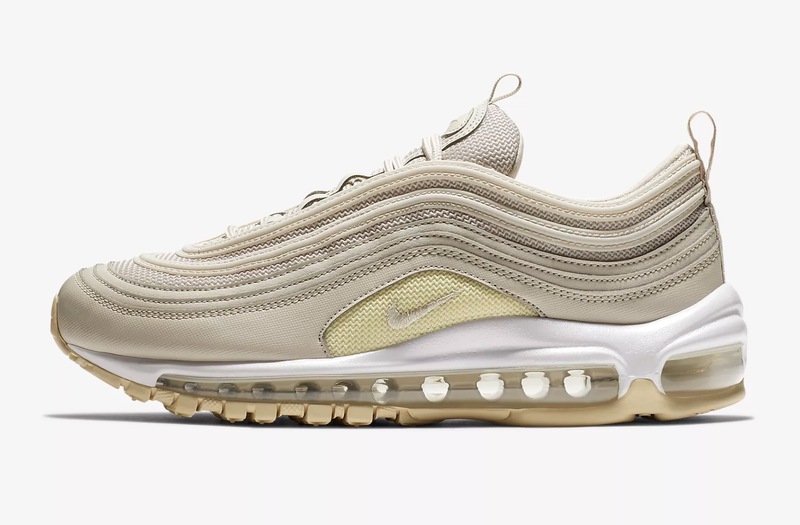 If you have fallen in love with this Nike Air Max 97 Gold Desert Sand/Beach, then head to the links to shop now. Don’t forget to #thesolewomens on your in hand/on foot images for the chance to be featured on our Instagram feed!